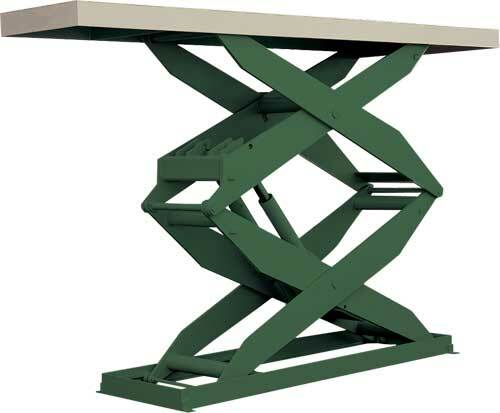 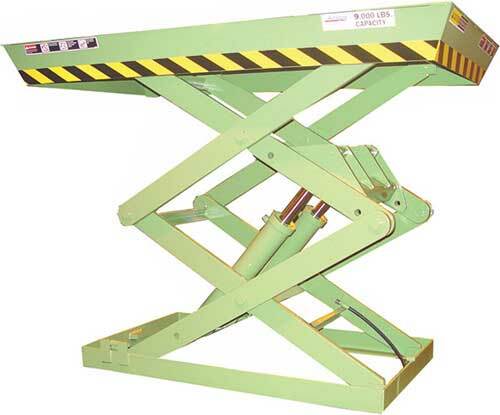 ECOA DSL Series Lift Tables are high travel double electro-hydraulic scissor lifts with capacities of 2,000 to 6,000 lbs., travel distances of 60" to 144" with platform sizes of 30" x 48" to 72" x 132"
Series 35 Double High scissor lift tables are comprised of two individual scissors table assemblies stacked and welded together to provide higher vertical travel while maintaining smaller footprints and platform sizes. 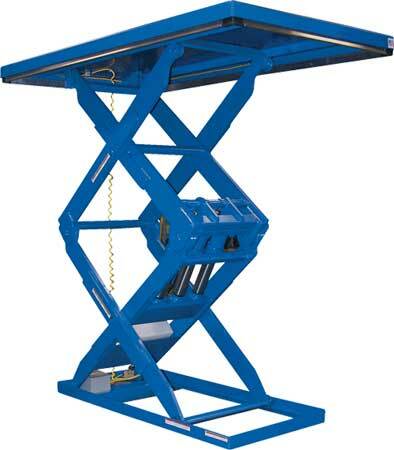 Low collapsed heights and small platform sizes of these extremely compact scissor lift tables make the Q-Lift low profile double pantograph perfect for improving ergonomics and adding work station productivity. 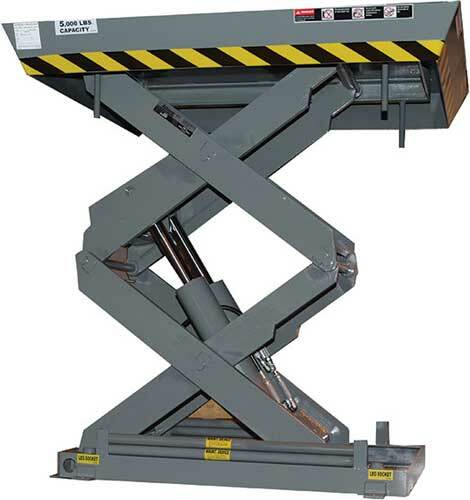 The Double Pantograph scissors lift design creates a stable structure that consumes less floor space and improves worker productivity and increases factory throughput. 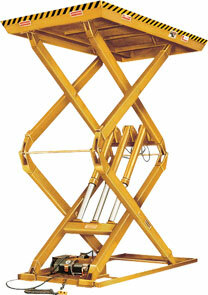 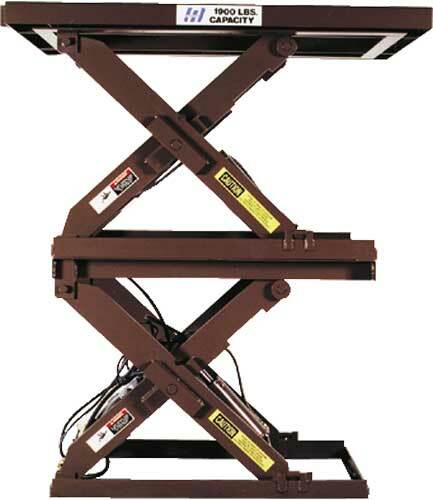 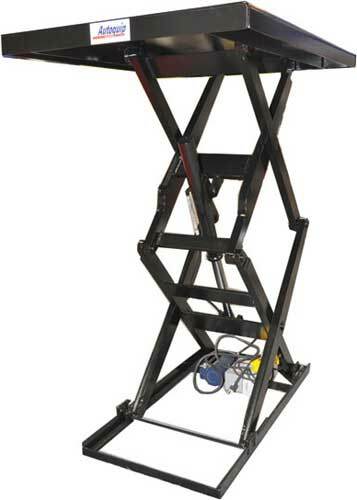 The TorkLift family is Autoquip's premium series of work station hydraulic lifts. 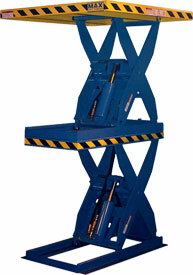 Two sets of vertically stacked scissors are pinned directly together, stabilized, and raised simultaneously by common hydraulic cylinders.